The RVMES self-titled 9 song EP release is finally on your doorstep! 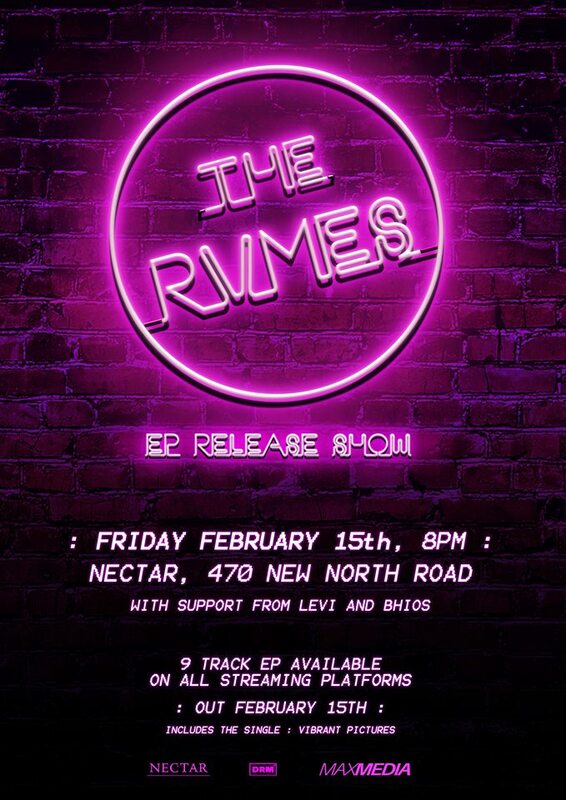 After a huge writing stint and recording mission we are pleased to host our release party at the beautiful Nectar in the heart of Kingsland. And sharing the stage with us on this special night are some incredible songwriters. We have Levi opening the night which will transport your senses to a different place you didn't know existed, a true talent with songwriting with a brilliant backline of musicians to compliment. To finish the night we have BHIOS. With their tasty integration of contrasting genres, they are out to change the landscape of Alt Rock Music. They draw from the sparkling heights of Pop and Electronic music, the depths of Heavy Metal, and everything in between. Make sure you put aside your evening to catch a great night of music! Doors at 7pm - $10 Entry - Merch for sale!